Yup it’s not the best joke is it, but fashion and humour are not really the best of buddies. A sense of humour within fashion seems to go historically hand in hand with a rebellious streak and an artistic lilt among designers. Starting with the likes of Elsa Schiaparelli via Franco Moschino, to Jean Paul Gaultier, Vivienne Westwood and even Liam Hodges and modern-day Gucci. Humorous fashion pioneers are all synonymous with a non-conformist commitment to injecting life into what some see as a stiff industry, violating sartorial and aesthetic codes that are ingrained within the history of fashion. Designers like these have always been set apart for their bold and rule breaking attitude towards fashion, sitting on the sidelines of the mainstream but firmly in the hearts of the public. For many, Zoolander was a refreshing acknowledgement of the exclusive and austere nature of the fashion industry, poking holes in the apparently ridiculous standards and incomprehensible concepts. Teeny tiny phones and Blue Steel anyone? The Gucci A/W18 Milan Fashion Week show saw models walking down the runway carrying spooky replicas of their own heads. An incomprehensible concept to many, but, on Instagram, the #GucciChallenge arose. Fashion editor Anna Dello Russ and W Contributing Fashion Editor Giovanna Battaglia Engelbert are among many figures that had fun with Gucci, getting people to place their heads between their arms to replicate Gucci’s catwalk look. Despite humour in fashion being a relatively rare concept, there have always been brands willing to poke a little fun at the industry, usually best done by insiders. from the disco 70′s to the workwear and big shoulder power suits of the 80s. Back as far as 1927, fashion designer Elsa Schiaparelli, harnessed her association with surrealism to create designs that brought humorous joviality into fashion, in direct contrast to her main rival at the time Coco Chanel. The light hearted ‘Shoe Hat’ designed in 1937 with friend and fellow satirist Salvador Dali was inspired by a photograph of the artist taken by his wife, showing Dali wearing a woman’s shoe on his head and another on his shoulder. Hubert de Givenchy remembers seeing Schiaparelli wearing two different coloured shoes at a time when the art world was moving away from surrealism; “I said to myself, ‘How can a woman with so much talent not understand that this is all over?’ But she persisted in her ideas. And in the end, she was right. Her fashion was very modern. It wasn’t unwearable. It was daring. And never vulgar”. 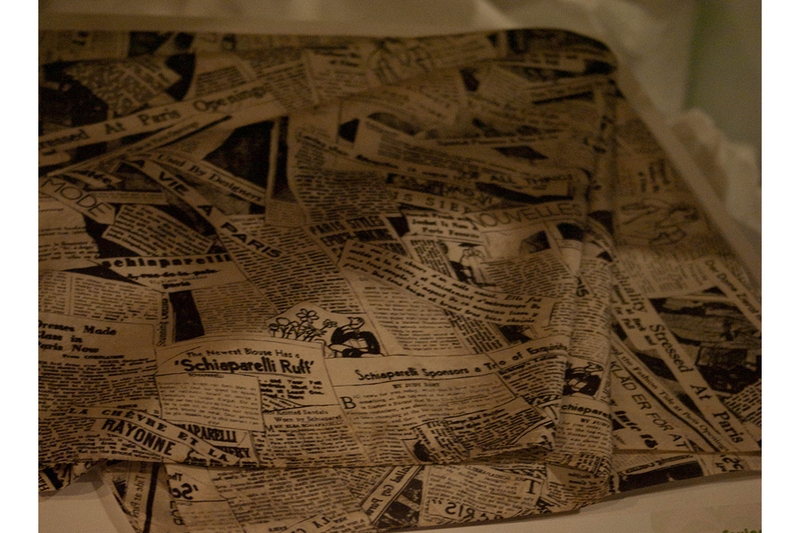 Schiaparelli found a harmony between fashion surrealism and humour, creating high fashion designs that made you smile. With a history of industry awareness and satire from Franco Moschino, it was fitting when the fashion house announced their new creative director, as Jeremy Scott, ‘fashion’s last rebel’ in 2011. The original ‘Expensive Jacket’ parodied the industry, acknowledging the superficial and shallow nature of some fashion and at the base of all Moschino’s collections, as with Westwood’s, is a notion of protest. The denunciation of the excesses of the fashion world and the ‘image society’ of the 1980’s. No one was safe from Moschino’s wrath, including Coco Chanel. Moschino adorned classic Chanel designs with pinwheels instead of buttons and designed dresses with the emblem ‘no stress no dress’. 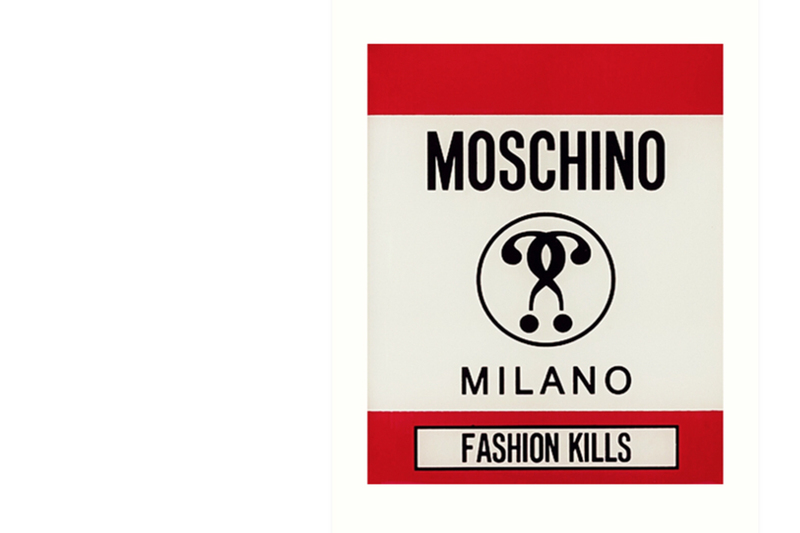 Scott continues the humour of Franco Moschino, making fun of fashion and making fashion fun. McDonald’s, Barbie, Cheetos, Fruit Loops, all inspirations for Scott’s catwalk designs. collection called Anya Smells with scents such as coffee, toothpaste and washing powder; and more recently, diffusers which look like pencils in a pot with also scents looking like pencil shavings or even chewing gum. That uniquely, slightly silly yet very British humour runs through everything she does and makes for an underlying current over her crafted luxury collection. Or look at menswear designer Liam Hodges who sent out his invite for S/S 18, which turned out to be a plastic lobster bib, and sent models down the catwalk with red sunburn marks of their legs. Or Fyodor Golan who take us right back to the heyday of Toys ‘R’ Us with their designs emblazoned with My Little Pony. Humour? 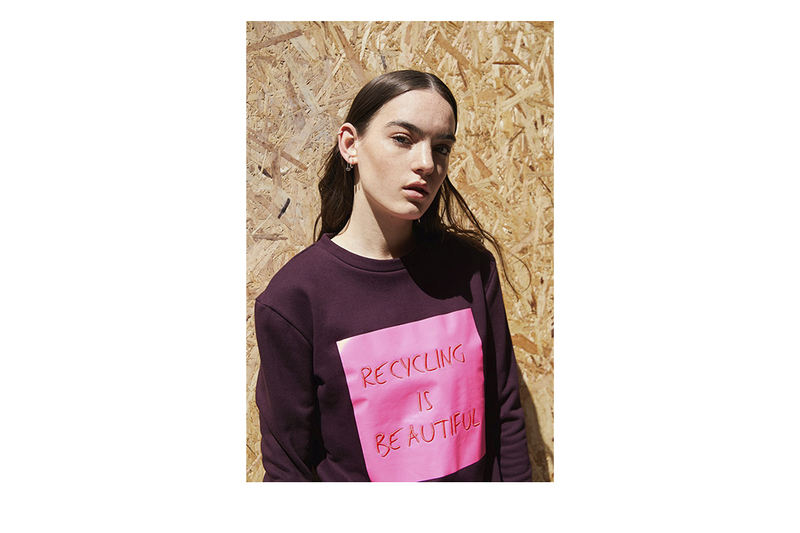 Or is it just that nothing is out of bounds when it comes to fashion? Whether fun or funny, it’s welcome. Thanks to the unwavering passion by early designers who refused to conform, today the fashion industry has opened its doors to a whole host of innovative and often younger game changers. This more modern face of fashion has brought with it a more malleable set of rules and the light-hearted overhaul has been aided by the emergence of social media. The huge success of Celeste Barber is a clear indication that the fashion industry can, or wants to try, laughing at itself. The Australian Instagram star caught the public and the fashion world’s attention by parodying highly stylised fashion imagery, highlighting the unintentional humour in many high fashion campaigns. Barber can be seen on her Instagram covered in house plants, ripping apart the unattainable standards of beauty that the fashion and beauty industry portrays, and making you laugh while she does it. Tom Ford enlisted Barber’s help to make three videos for social media in the run up NYFW. One video sees Ford trying to adapt his designs to fit Barber using duct tape and in another she is attempting to walk a catwalk. The fashion industry is beginning to crack a large smile, so let’s hope the addition of art and humour can continue to make us laugh.